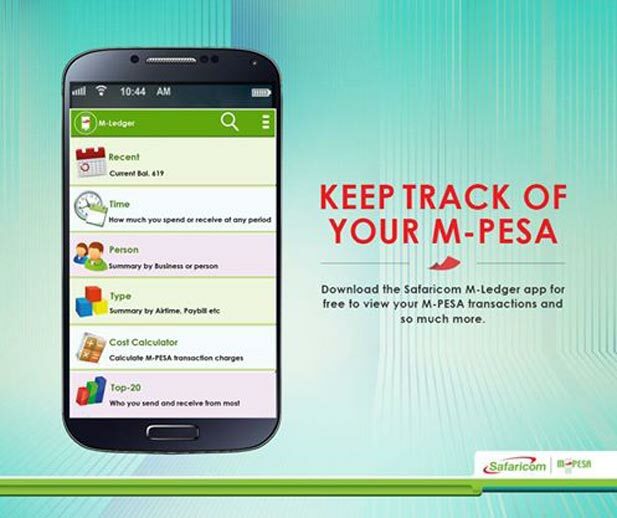 Recently, there was a lot of excitement stirred up when Safaricom, Kenya’s largest mobile operator, released the Application Program Interface (API) for its mobile money service M-PESA to local and international developers. The value in this release lies in the opportunities for integration to mobile money which developers of applications and solutions now possess. In its announcement, Safaricom took the time to spell out some of the opportunities that this move was introducing to the app development space and it pledged to organise workshops where issues around the integration would be explored. This is a step forward for Kenyan mobile commerce and e-services. M-PESA has made a huge impression on the digital payments front in Kenya and its success has inspired other services outside East Africa Econet’s EcoCash. Any work around its integration with other e-services and entrepreneurship is commendable. What comes under scrutiny now, is how this provision of an API will be adopted or viewed by other mobile money services in Africa. In Zimbabwe, developers and startups have always cried about the exclusion from leading mobile money services because of APIs that aren’t made available to every developer and startup that wants to tap into mobile money as a way of enabling commerce. As a response to this, Telecel released the Telecash API and Econet also had an API available for EcoCash. What was absent from the two operators was a strategy for open engagement of developers and startups. While other African mobile operators, like Orange and MTN have also done some of the work involved with releasing APIs, Safaricom is scoring points for the way it is engaging its developer and startup community with this MPESA API. There are lessons in there for other mobile operators that either have open APIs and aren’t encouraging active use of the APIs, or aren’t making them open in the first place. Safaricom has not only shown a different way of seizing the opportunity of external developers, but it has also alluded to the future of mobile money services and revenue. The success of these platforms like MPESA won’t be on signups and primary transfers, it will hinge on supporting applications that encourage extensive use of digital services. Like all things to do with tech innovation around mobile services, It sounds rather obvious, but a look at how operators instead try to corner a gamut of services and offer them on their own shows that the engagement of external developers and entrepreneurs isn’t yet a priority. Maybe Safaricom will provide the one lesson for all operators. Our problem is a rigid view of the world. We do not see the value of engaging you customers and make them aware of your products, road map and strategy. Take for exampla Econet with on this api issue. They want developers to worship them, they want to be seen as gods of innovation, they want people to be excited and buy everything they do without questions. Look how Cisco do business, they form partnership, they having training courses for their products, they have programmer and they go out to engage whoever they think can add value to their business. Compare that to Econet, do they have any of that, or any ISP here in Zim? Nothing, zero. Not really sure what your qualm with Econet is, but they have an API available to the public, same with Telecel. There is documentation available for both Telecash and Ecocash APIs. I don’t see any need for developer training as the APIs are fairly straight forward and a lot of companies have integrated successfully. What I see as the real problem is developers crying foul on the lack of APIs and when they are availed, they do nothing with the available APIs. My qualm is visibility of the product and awareness campaign by the surplier. When is the last time you heard Econet promoting their API, or Telecel? There is this mentality of saying we produced the API, developers get on with it. Which is wrong, if developers cannot see the benefit of it they wont spent their time on. The person who is suppose to show them that benefit is Econet. But like l said, Econet and Telecel are wearing blanking mask. This is a total missed business opportunity for them. They need vision to see beyond what everyone is looking at. Thanks to the King for the honesty. The problems is what we have locally are wanna-be developers who have never done any integration before. They think XML and JSON are too complex, they cant even code a REST client. Its disappointing that our colleges are producing such dumb programmers. If you don’t know code don’t blame it on others. and you think sprinkling a few words here and there makes you any better?…. shows jack sh!T about what you know or can do. Did a simple google search of both Ecocash API & Telecash API and my express view is that thy dont want to be found. Cannnot find them. Does anyone have a link? The APIs are available for both Ecocash and Telecash but being charged $15 000-$25 000 to get access to the API how is that going to benefit the developer or a recent graduate with an idea? For Telecash they require you to have an extensive portfolio and you need to write them a request which a lot of paper work. Exactly my point above, all they want is cash from every avenue without future investing in programmers. right now i visited the Safaricom website and managed to download the API documentation in less than 5 minutes and was not asked to make payment or enter nay details. And i must say the API is detailed. Why cant our local MNOs do the same and post these APIs? Good story Nigel… Is it possible for you to talk to someone who has integrated with all these APIs and let them tell us their experiences through the journey. Safaricom only released their API because of the size of smartphone penetration in Kenya (at 67%) which means they are having their lunch eaten by other cryptocurrencies, they know their mobilemoney solution does not have a long term future without long term developer support.